The first time you click the button above, you may be prompted to select a program to use. 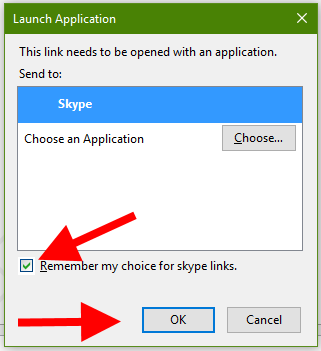 Select Skype then click the checkbox named Remember my choice for skype links and then click the OK button. 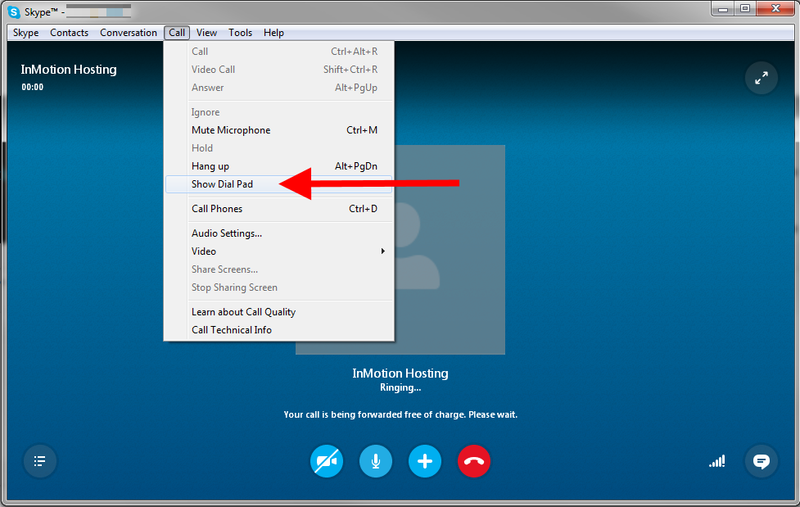 After Skype opens up, click on Call and then Show Dial Pad. The dial pad will now display along with a button at the bottom to toggle it. From here you can select the proper department from the phone menu. Note that in our testing, the dialpad button did not work on *nix systems. Don't have a Skype account? Need to install it to your local machine? Read on below as we give you step by step instructions on how to get started. Visit http://www.skype.com and click on the Join Us link at the top of the page. You are taken to the signup form where you will enter all the information for your account. The fields marked with * are required. After entering your information, scroll to the bottom of the page and click the I agree - Continue button to complete your signup. 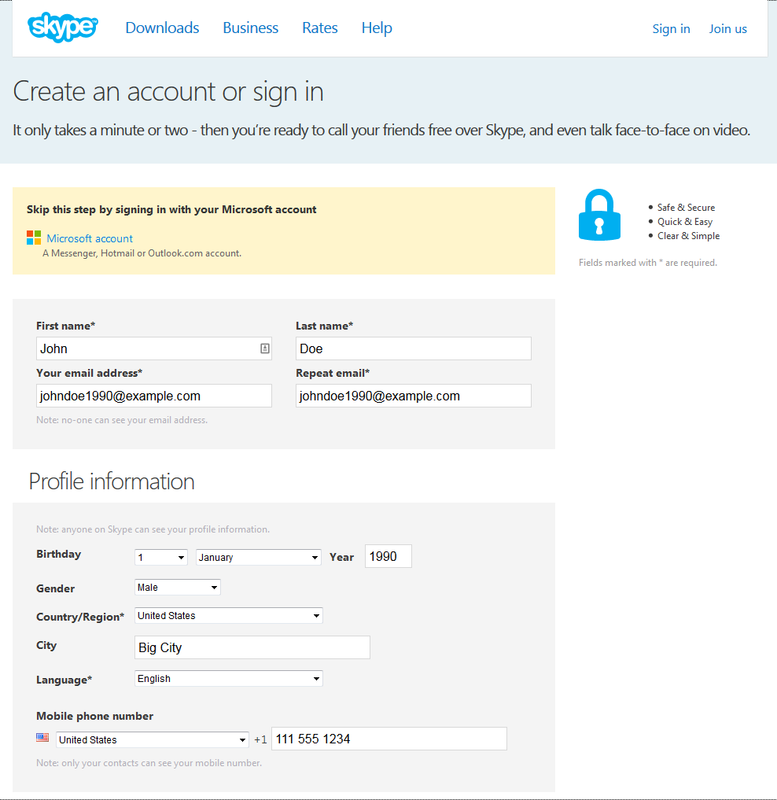 Now that you have your account created, you will need to install Skype onto your local machine. 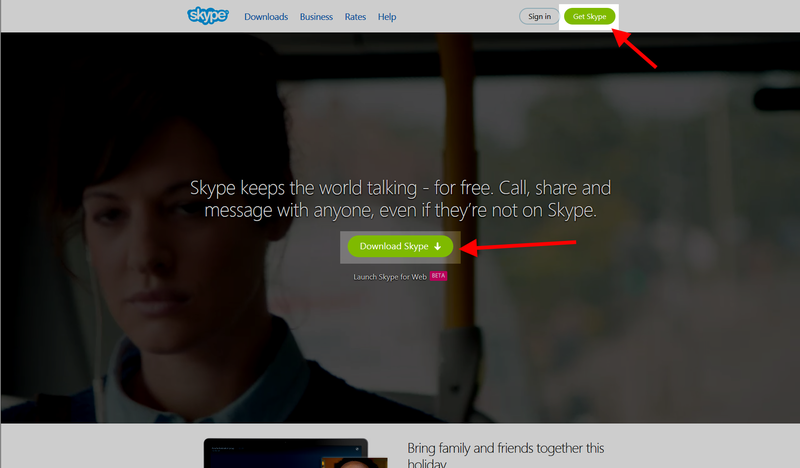 Visit http://www.skype.com and click on either the Get Skype or Download Skype button. Next, select the correct download for your operating system. For purposes of these instructions, we will assume a Windows operating system. 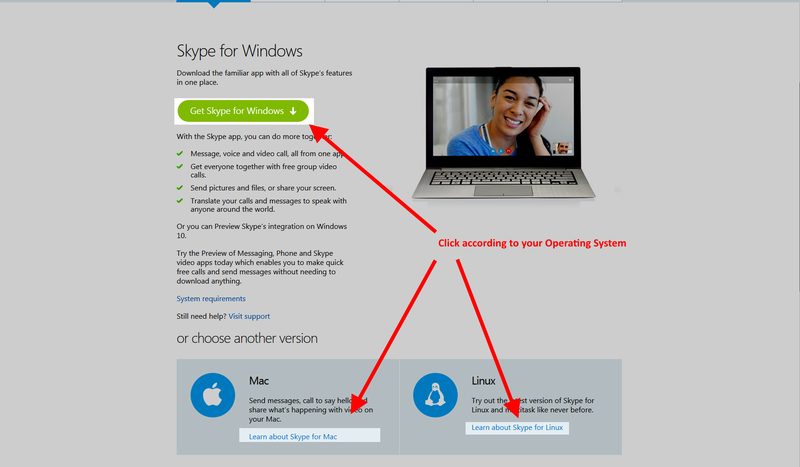 You will be prompted to save the Skype setup program to your local machine. Click on the Save File button. 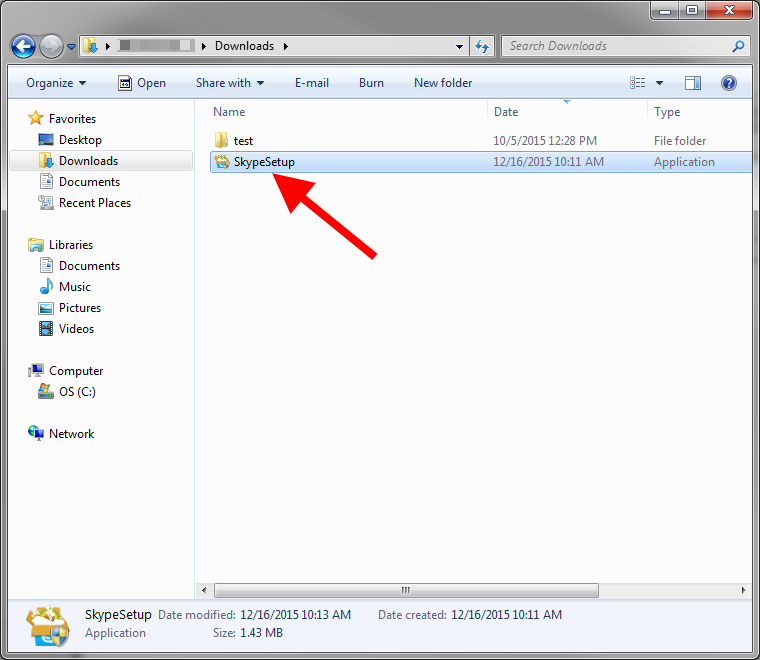 On your local machine, visit the folder to which you downloaded the set up program. Locate it and double click on it to run the program. You are now on the Skype setup wizard. First, select your Language and then click the Continue button. 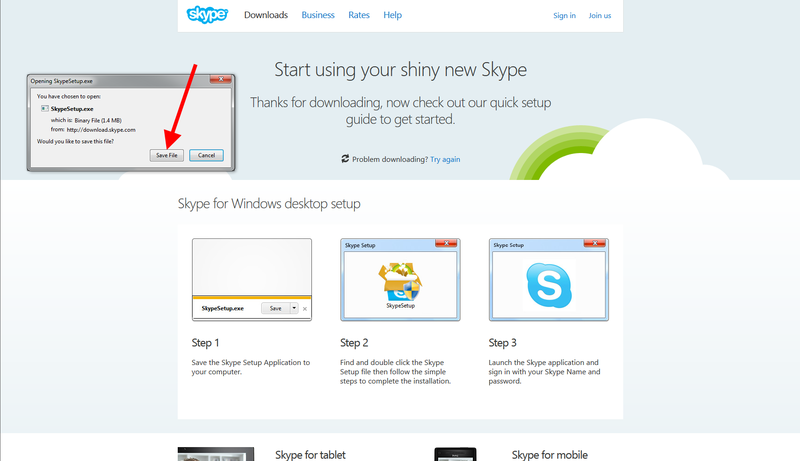 The next step is the option to install the Skype Click to Call program. 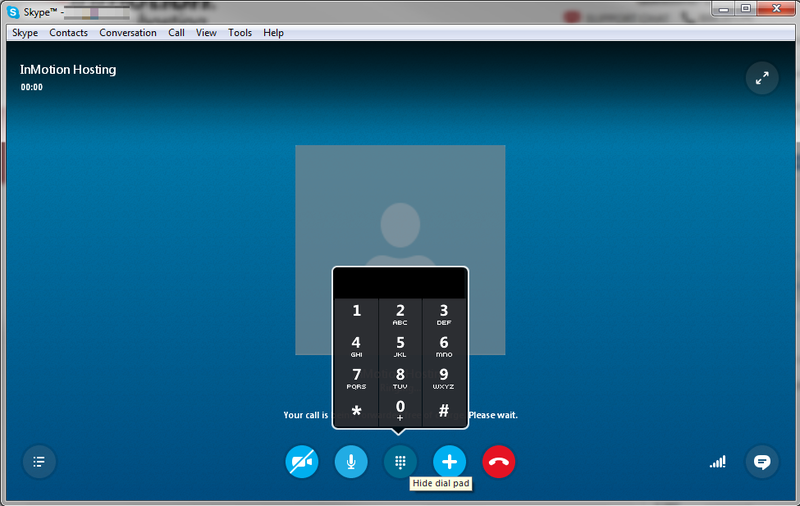 It makes it easy to open Skype from within web browsers. This is not part of the main Skype program. It is selected by default, so if you do not want to use it, click on the checkbox to uncheck it. Click Continue to go to the next step. 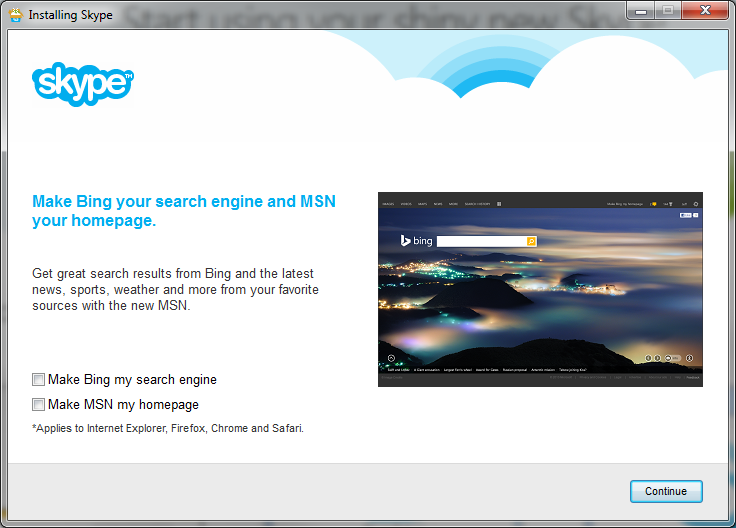 This step asks you to set your default search engine to Bing and your homepage to MSN. These are selected by default, so be sure to uncheck the boxes if you do not want this to happen. This will not affect the functioning of Skype in any way. Once finished, click the Continue button. Skype will now install its files. 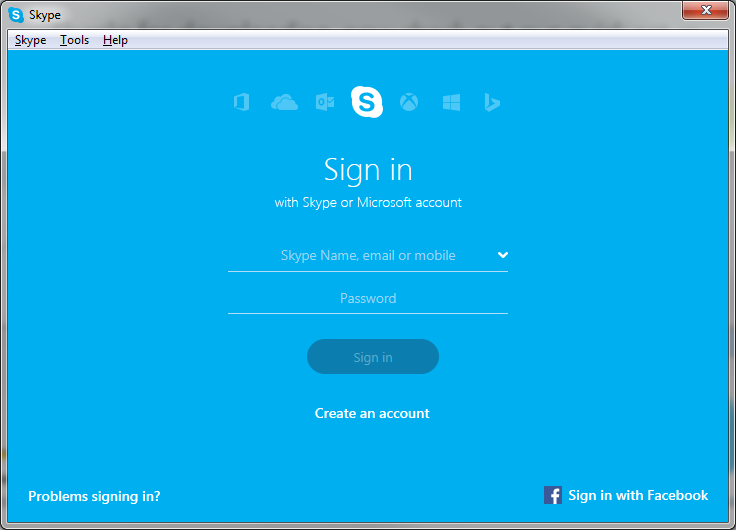 Once completed, you will see the Skype login prompt. 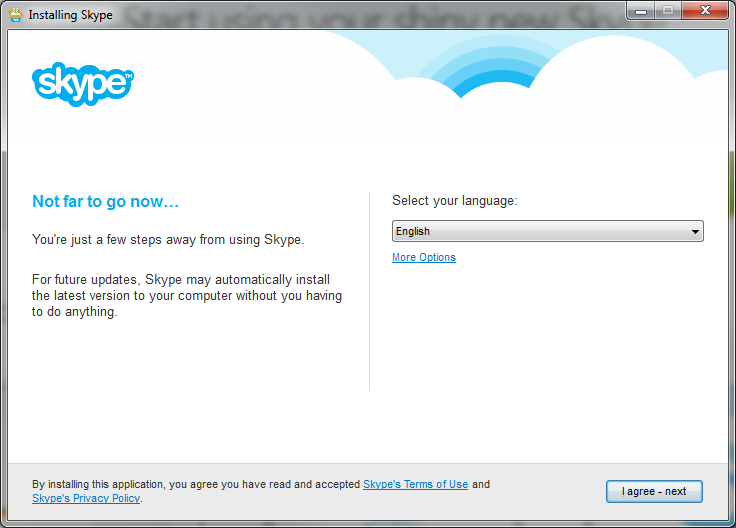 This means Skype has been installed onto your machine. 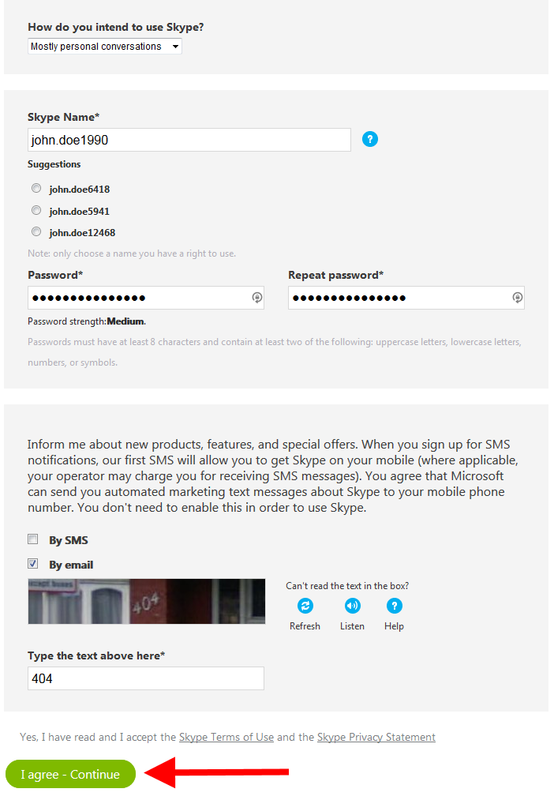 To get started, simply log in with your Skype account. 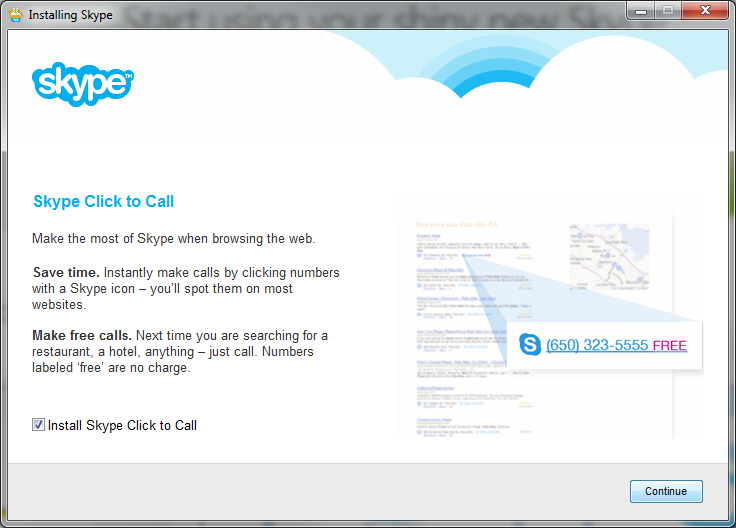 I'm sorry to see that you are experiencing difficulty reaching out to Live Support via Skype. I am unaware of any issues within our control that would be affecting your ability to contact us from that application. Please note that we are available via many methods. Check out our guide on How to Contact Live Technical Support for further assistance. Same here, Skype doesn't do anything with the buttons and indeed no phone numbers provided or easy to find anywhere on your website, if chat support takes a long time usually, figuring out how skype works with inmotion is proving to be even more inefficient. Any chance you have simple Phone support?? Sergio, what number did you try in Skype? Did you try our local, stateside phone number 757-416-6575 ? Hi there - same problem as Laura Claycomb above. I cannot login into my account for some reason (so I can't use the chat service), I've got issues with not being able to connect to my ftp accounts to upload a new cpanel, and I try the skype number and simply get "this person is unable to take your call". I'm with Laura on this. Godaddy has some real issues and I need a reliable hosting company but this service hasn't been great so far. I've got work outstanding with Managed HOsting team also, and it's been two days now and I've not even had a proper response. If you guys are too busy, employ more people! Nicola, I'm sorry to hear that you're having trouble contacting us. As Tim stated we are here 24/7, but at times we do have a lot of customer requests to deal with at one time. When you tried to Skype our number, did you use the local number( 757-416-6575 )? I'm sorry to hear that. Support operates 24/7/365 and we typically don't ask to call customers back. What number are you dialing for Support? I'd like to help you. Have you tried using the live chat support?